Katie is a 2014 graduate of The Ohio State University and a four-year member of the Varsity Women’s Rowing Team. Setting off on the right foot, as a freshman Katie raced with the Buckeyes to claim the title of Big Ten Champions. As a sophomore she and her 4+ boat won the first ever NCAA national title for Ohio State. The Buckeyes won the National Champion team title during both her junior and senior years. After college she spent a year coaching for the Buckeyes with their novice squad. During that year, October of 2014 to be exact, she discovered CrossFit and joined ChalkDust. 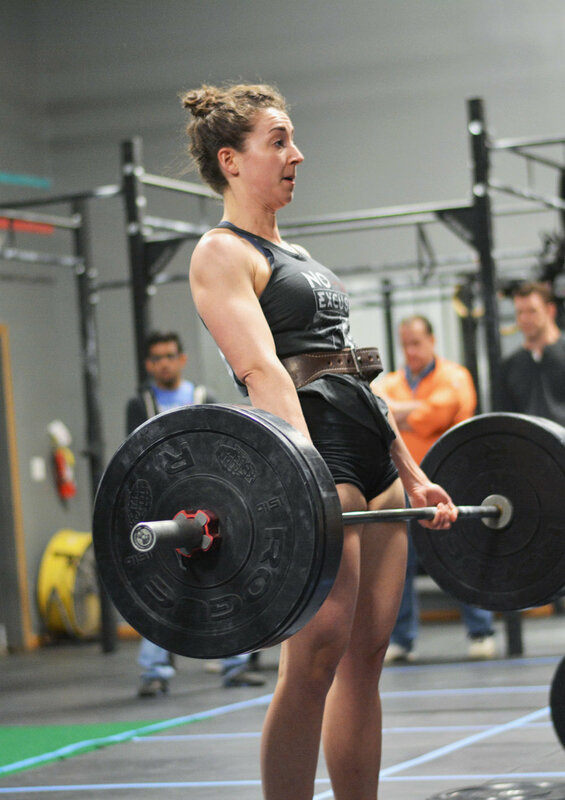 After a year of training and competing, Katie earned her CrossFit L1 Trainer Certification in November of 2015 and started coaching classes shortly after. I coach at ChalkDust because the feeling you get when you PR or do something you’ve never been able to do before is amazing and I love helping people to reach those goals and find that confidence in themselves! Plus the community at ChalkDust is top notch. My favorite benchmark or Hero WOD is Fight Gone Bad! My weakest lift is anything with an overhead press. Strict press and I do not get along. But we are trying to work it out by spending a lot of time together. My biggest accomplishment outside of the gym is probably my career with Ohio State Rowing. Knowing that I was able to push my body to its limit time and time again to win races has given me so much confidence and has taught me a lot about myself. I continue to use this mentality in CrossFit and in life in general.